Northside Beer Tree – Membit Inc.
Northside Festival is shaping up to be an extravaganza of music, art and innovation in Brooklyn. The festival takes over from June 7-June 11 2017. But there is a long lost legend that many explorers know nothing about, it’s the Northside Beer Tree. Yep, that’s right, a tree in Brooklyn that gives free beer. Our friends at Early Adopter have teamed up with us and Northside to create something to quench your thirst from all your party hopping. 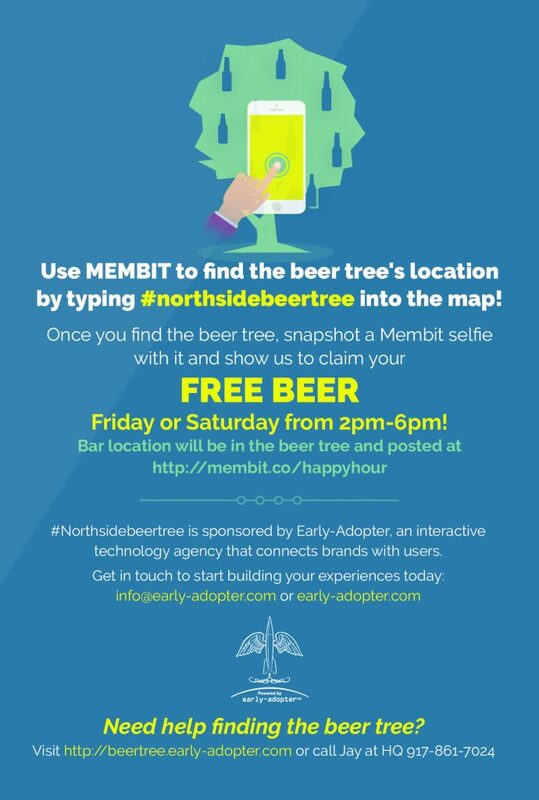 Here’s what you need to do to get a free beer from the Northside Beer Tree! Bring your selfie to Teddy’s Bar and Grill 96 Berry St, Brooklyn, NY on Friday 6/9 and Saturday 6/10 between the hours of 2-6 and say that you’re a long lost ancient traveler looking to meet the legendary keepers of the free beer. 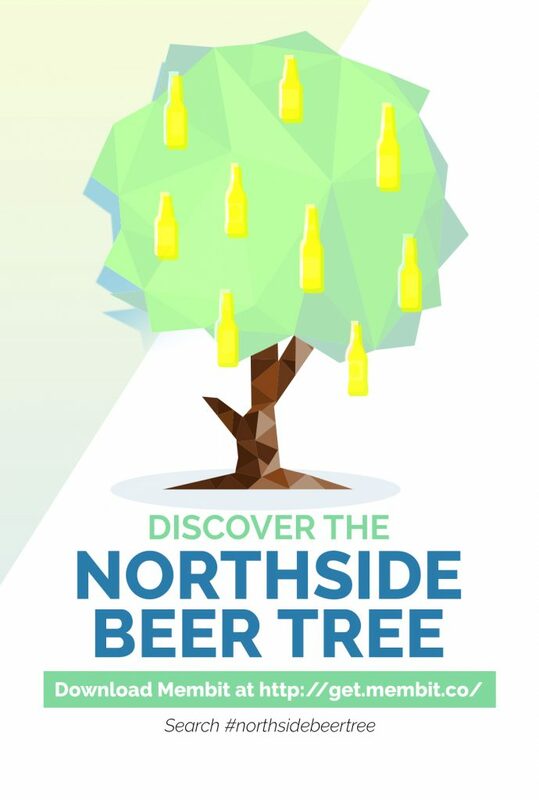 Or you can just say you did the Northside Beer Tree thing and they direct you to us. Happy Festival Season from all of us at Membit!